PJ's Preview: Who Wants Some Wings? The Detroit Redwings are in town and Blues fans are hungry for a victory. After beating the Buffalo Sabres on Thursday, folks are looking for a "Buffalo-Wings" win. ​Although the Blues came out on top Thursday, it was obvious they weren't on their game. If they plan to win back-to-back they need to come out flying. It should be noted the Red Wings have a 5-3-1 away record. They are ranked 3rd in the Atlantic Division with a 10-8-2 record (22 points). 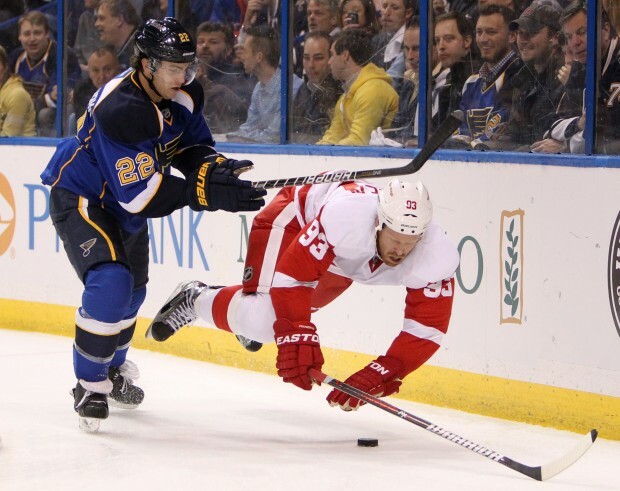 The Blues, however, are ranked second in the Central Division with a 13-6-1 record (27 points). This will be the 21st game for both teams. The Wings are coming from a 3-2 win against the L.A. Kings last night. Like the Blues earlier this week, perhaps they will come out tired. Check back here for the updated lineup and more! Catch the game on FS-Midwest at 7:00 p.m. and follow @bluesbuzzblog on Twitter.